The Note 9 looks good in blue. Samsung’s answer to the iPhone X is scheduled to arrive later this month, and thanks to one keen employee, we already know what it will look like. Samsung New Zealand posted the official Galaxy Note 9 introduction video to YouTube weeks early. It reveals the “super powerful” handset’s design and a number of key features, including an improved S Pen. 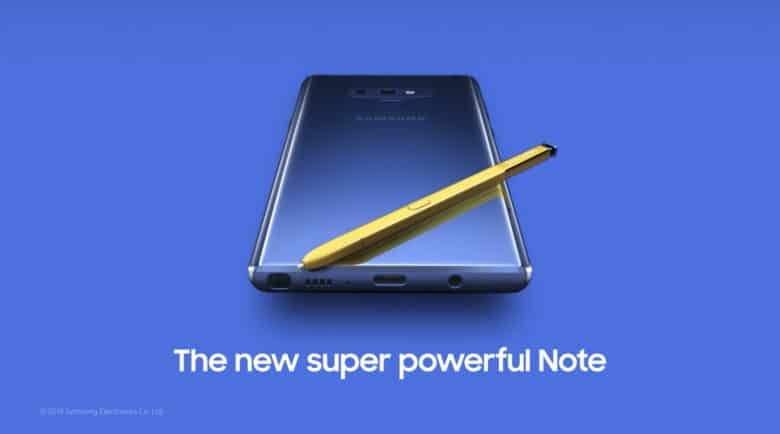 The Note 9 in all its glory has been revealed early in an official video prematurely posted to Samsung New Zealand’s YouTube channel. The video shows a blue model that’s combined with a striking gold S Pen. It gives us our best glimpse at the Note 9 so far, and points out a number of big features, including “all day battery” life. It also promises “the power to store more,” confirming rumors that the Note 9 will offer up to 512GB of internal storage — as well as another 512GB through a microSD card. Sadly, it doesn’t confirm the apparent 8GB of RAM. Samsung also promises an “all new powerful S Pen,” but it’s not exactly clear from the video what’s different. There have been suggestions that the S Pen will now work over Bluetooth, offering more functionality than it did before. Somewhat surprisingly, there is no notch in sight. Samsung will make the Note 9 official with an event on August 9, so we have only six days left to wait before all of this is official. The company will be hoping to attract as many sales as it can before Apple spoils the party with its next-generation iPhone lineup in September.